An increased focus on worker safety with stricter labor laws and government regulations is one of the most prominent factors driving the changes in the AWP market. Improved safety is also a driving force in the growing demand for better functioning and more task-specific products. Another top factor influencing the AWP market is the increased demand for rentals. With growth in the market comes increased competition among top international and local vendors coming up with new, innovative designs to meet end-users’ specific application needs. With the added higher cost of products, consumers are switching their preference to renting equipment over buying. Smaller, more localized companies are finding it difficult to compete with larger vendors in terms of quality, features, services, and capabilities. Public utility is one of the fastest growing sectors, which includes a greater demand for renewable energy sources like wind and solar. Increased investments in the power infrastructure and alternative energies have fueled this growth, and as a result, the demand for utility vehicles. Truck-mounted AWPs are essential tools for cleaning and maintaining wind turbines, and thus are projected to grow in demand in the coming years. These types of AWPs are used more on a temporary as-needed basis, which is another factor driving the trend towards renting equipment. In terms of revenue, the market is estimated to reach $610 million by 2021. 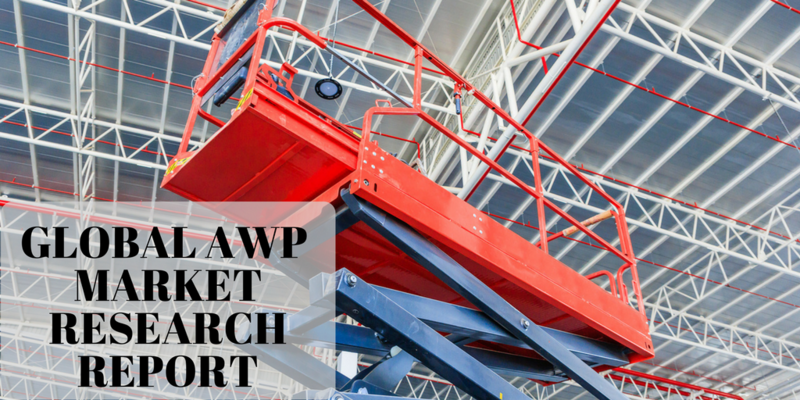 This AWP vendor designs, manufacturers, and distributes truck-mounted AWPs, and offers a fleet of stair climbers, truck-mounted access platforms, scissor lifts, self-propelled platforms, and removal lifters. These types of equipment are necessary for reaching wind and solar energy structures. Morita Holdings specializes in fire trucks, fire extinguishers, disaster prevention facilities, and environmental protection vehicles. Also involved in the design and construction of waste recycling plants, Morita Holdings is engaged first hand in the trending renewable utility and environmental protection industries. Versa Lift manufacturers truck-mounted AWPs for the heating, ventilation, and air conditioning sectors. TIME, the company’s subsidiary, is expanding its offering of truck-mounted AWPs to include higher reaching models made for accessing the increasing heights of wind turbines. PALFINGER is in the business of manufacturing and distributing timber cranes, hook loaders, recycling cranes, container handling systems, wind cranes, and truck-mounted articulating boom lifts. They’re one of the vendors at the forefront of innovating the industry. As a global manufacturer and supplier of construction equipment, material handling equipment, and utility systems, Terex provides top end customer service and related lift components that streamline the shopping process for consumers. Another major component of the AWP market is adequate operator training. With an increased focus placed on worker safety, you’re going to need a high quality, innovative training system. Look no further than CertifyMeOnline.net for the number one online provider of forklift training. Get in touch with our AWP experts today.